STREET REHABILITATION PHASES 1 & 2 — Salaber Associates, Inc. 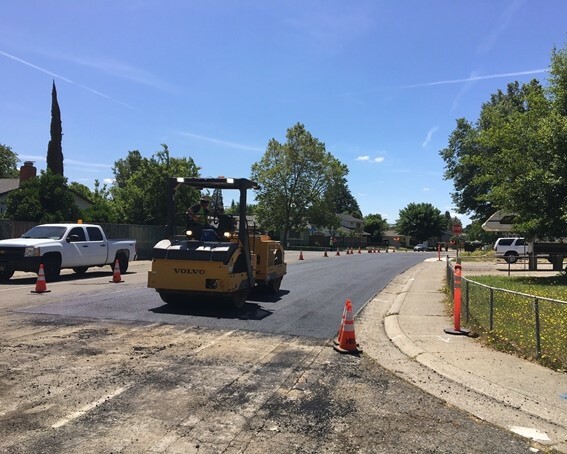 The project consisted of over 116,000 square feet of 4” deep asphalt concrete base repairs, 54,000 SY of edge and conform grinds and a 2” overlay consisting of placement of over 14,800 Tons of Rubberized Hot Mix Asphalt. Over 1,300 Tons of ½” Hot Mix Asphalt overlay placed in the cul de sacs. The project also included abandoning over 50 storm drain laterals and installation of new laterals and 50 inlets to current City Standards. Concrete improvements included construction of 121 ADA ramps, remove and replace of over 13,000 SF of sidewalk and remove and replacement of over 5,000 LF of curb and gutter. Project included thermoplastic striping and raising manholes and utilities to grade after overlay. Extensive coordination was required between the contractors for each phase to minimize impacts to the residents and each other. SAI managed and inspected both projects and was able to utilize inspection staff efficiently to come in under budget substantially.